I have a feeling that if some future generation ever manages to read this essay, it will be thought of as some kind of historic novelty, and perhaps even amusing. Today, however, I am sure this essay will generate profound emotion on both sides of the debate. The debate itself is over the use of the word “Anglican” within the Catholic ordinariates set up for former Anglicans. In short, some Catholics have no problem with using the word “Anglican” as a prefix to describe the type of liturgy and customs associated with such ordinariates. These Catholics include not only some within the ordinariates themselves, but a growing number of Catholics outside the ordinariates who simply use the word for descriptive purposes. Thus, the terms “Anglican Catholic” and “Anglican ordinariate” have become commonplace. Those championing for the use of the word “Anglican” say it’s just easy shorthand, for simplicity’s sake, with a few arguing that it’s part of the Anglican Patrimony to use the word. Those contending against the use of the word “Anglican” say it’s confusing because in the minds of most Catholics, and most Protestants for that matter, the word “Anglican” is historically married to the concept of English Protestantism. In the early sixteenth century, England was considered the most Catholic country in the world, next to Italy of course. England was so Catholic, it was called “Mary’s Dowry.” Medieval England was steeped in Catholicism, and the destination for thousands of pilgrims in northern Europe, who visited the Shrine of Our Lady of Walsingham in Norfolk. This shrine served as an alternative to pilgrimage to the Holy Land during times when it was unsafe to travel in Europe for various reasons. Therefore, Catholics from as far away as France, Germany and Scandinavia made pilgrimages to England for this purpose. England was also privileged to have its own unique liturgy. 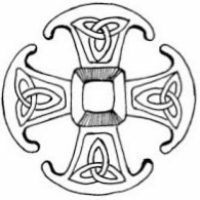 It was called the Sarum Use, which originated in the Diocese of Salisbury and became widespread throughout England, and as far away as Wales, Ireland and Scotland…. During the early years of the tumultuous Protestant Reformation (or Revolution), England was defended by its most Catholic king, Henry VIII, who actually wrote a book against Martin Luther and his heresies, presumably with the assistance of Saint Thomas More. However, Henry’s political problems required that he needed a male heir to the throne, and his lawful wife, Catherine of Aragon (a woman deserving of Sainthood), could not give him one. In fear and desperation, Henry took a mistress, a Lady by the name of Anne Boleyn who was heavily influenced by French humanism, and sought to make her his lawful queen, so that together they could produce a male heir to the throne. To do this, Henry required an annulment of his first marriage. However, Catherine (a faithful and devout Catholic) was not willing to quietly dismiss her lawful marriage to Henry and allow him to fall into mortal sin. So she protested and appealed her case to Rome. The pope refused to grant the annulment, and that set into motion the Protestant Revolution in England. Henry made himself head of the Church of England, effectively making a schism with Rome, and granted himself an annulment. Catherine was exiled to various palaces where she spent the rest of her life mourning her lost marriage to Henry and led a contemplative life wearing the Franciscan hair shirt. She bore a daughter to Henry, who would later become Queen Mary after the death of his son, born to his third wife Jane Seymour. Anne Boleyn was executed for treason after bearing Henry’s second daughter Elizabeth. Under her long forty-four year reign, England was solidified as a Protestant nation. It was during the reign of Edward that the Anglican Book of Common Prayer was first published, and his half-sister Elizabeth reintroduced the book during her reign. Thomas Cranmer, who served as the Archbishop of Canterbury under Henry, Edward and Mary, compiled the book, making his own contributions along the way. The book consisted of the order and prayers for the Mass and Divine Office, which drew elements from the Sarum Use, and other sources, but translated them all into Sacred English (thee, thou, thy, etc.) with slight modifications suitable for Protestant theology. It was in this way that the Sarum Use, a Medieval Catholic liturgy, was preserved (at least in part) within Protestant Anglicanism for the next five centuries. It was at this time the word “Anglican” came to be strictly associated with the Protestant schism and heresy of English Christianity. To be Anglican was to no longer be associated with Rome. According to Webster’s Dictionary, the English word “Anglican” was not recorded until 1598, late in the reign of Queen Elizabeth I, when England was firmly cemented into Protestantism. The Oxford English Dictionary confirms this but cites a later date of origin. The word meant, at the time, a member of the Church of England (which is Protestant), who is not in communion with Rome. It comes from the Medieval Latin word Anglicanus, which simply means “a member of the Church of England.” Prior to the English Church’s break from Rome, this simply meant an English Catholic, if we were to translate this into modern English. However, after the English Church’s break from Rome in the 16th century, the meaning of the Latin word Anglicanus changed from Catholic to Protestant. This is because the Latin word Anglicanus is married to the Church of England, regardless of that Church is Catholic or Protestant. When the Church of England was Catholic in the Middle Ages, it had a Catholic connotation. When the Church of England became Protestant in the 16th century, it took on a Protestant connotation. In English, however, the anglicized version “Anglican” was adopted only after the English Reformation to refer to members of the Church of England, and subsequently her daughter churches throughout the world. Thus, the English word “Anglican” is married to the Protestant Church of England and always has been from its very origin. As a side note to this, the Latin prefixes “Angli-” or “Anglo-” simply translate from Latin to English as “English.” Such words as anglophone (English sound), anglosphere (English countries), anglicized (making English), all relate to the word “English” and have no religious connotation to them at all. The Latin word Anglicanus, on the other hand, has a deeply religious connotation, and in Latin it’s directly connected to the Church of England. When used in Latin before the 16th century, it was Catholic. When used in Latin after the 16th century, it was/is Protestant. We have no record of Anglicanus being carried over into English as “Anglican” until well after the transition of the Church of England from Catholic to Protestant. So, as best as we can tell from historical records (in English), members of the Church of England didn’t start calling themselves “Anglican” until well after the Church of England became Protestant. In the centuries following the English Reformation (or Revolution) of the sixteenth century, the Church of England spread its influence into the British colonies of North America, Oceania and South Africa. Thus “Anglicanism” came to be a worldwide religious movement synonymous with English Protestantism. However, within Protestant Anglicanism was a seed of Catholicism, nurtured in its liturgy. This was perpetuated century after century in newer revisions to the Book of Common Prayer. Buried deep within Protestant Anglicanism, nurtured in every Sunday Liturgy and Daily Office, was the seed for the revival of English Catholicism. Early signs of its rebirth came during the time of the Caroline Divines (seventeenth century) and the following Oxford Movement (nineteenth century). It was during the later that Anglican worship took on a more “catholic” flare and appearance. So convincing was the Anglican move toward Catholicism that Pope Leo XIII had to issue a papal encyclical in 1896 declaring all Anglican clerical orders null and void. Essentially, what Leo XIII was saying was that just because it looks Catholic, sounds Catholic and smells Catholic (incense), that doesn’t mean it is Catholic. Authentic holy orders (bishops, presbyters and deacons) must come from apostolic succession, and unlike the Eastern Orthodox, the line of apostolic succession was broken among Anglicans when they changed their rite of ordination to reflect Protestant ecclesiology. The Sarum elements of the Book of Common Prayer were pushing Anglicans to return to Catholicism, but it was Pope Leo XIII who made it clear this reunion with Rome would have to take place on Rome’s terms, not the terms of the Protestant Church of England. The rebirth of English Catholicism happened in 1980, under Pope Saint John Paul II, when he approved the Pastoral Provision for former Anglican clergy to be ordained as Catholic priests even if they were married with children. The announcement was made the following year in 1981, and with this Pastoral Provision came permission for such priests to celebrate a Vatican-approved version of the Book of Common Prayer, which would come to be called the Book of Divine Worship. The name of this liturgical provision was called the “Anglican Use of the Roman Rite,” and that is where the controversy begins concerning the use of the word “Anglican” in the Catholic Church. This “Anglican Use Pastoral Provision” was primarily an American experiment conducted in the United States almost exclusively. It resulted from a number of Anglican (Episcopalian) priests who left The Episcopal Church USA following the ordination of women to the Anglican priesthood, and changes to the Book of Common Prayer that moved Anglicanism away from its reunification trajectory with the Catholic Church. Rather than breaking away to form their own Anglican splinter groups, a number of these Anglican clergymen chose to continue their trajectory toward Rome on their own. They were received into the Catholic Church, and many of them were ordained as Catholic priests shortly thereafter. Pope Saint John Paul II greets Father Christopher Phillips in 1983. Their liturgy was returned to them, after revision by Rome, and they were permitted to carry on with an Anglican-type of liturgy as Catholic priests in Catholic parishes. The first such parish was Our Lady of the Atonement Catholic Church in San Antonio, Texas, where Father Christopher Phillips served as its pastor, the first married priest to serve in such a role in the United States. The decision was made by Pope Saint John Paul II himself. Shortly thereafter, other former Anglican priests were assigned their own Catholic parishes, where they served as Catholic priests and pastors. The “Anglican Use” experiment continued in the United States for thirty years, until Pope Benedict XVI issued an Apostolic Constitution entitled Anglicanorum Coetibus (Latin: “Groups of Anglicans”) in 2009. This Apostolic Constitution made provision for the creation of personal ordinariates, juridical structures similar to super-dioceses that would span large regions and overlap regular dioceses. They are called “personal” because their jurisdiction applies only to certain persons within a given region, and not all Catholics entirely. These persons would be Catholics connected to an Anglican background, or persons baptized and/or confirmed into an ordinariate, as well as all their immediate family members. Within these ordinariates a full and complete liturgy would be authorized by Rome, similar to the Book of Divine Worship used by the Anglican Use Pastoral Provision in the United States for the previous three decades. This new liturgy, simply called “Divine Worship,” drawing upon the old Sarum Use, and the Anglican Patrimony, has become the official liturgy of these personal ordinariates. Today, there are three such ordinariates in the world. The Personal Ordinariate of Our Lady of Walsingham serves the UK and was the first of the three, started in 2011. The Personal Ordinariate of the Chair of Saint Peter serves North America, currently the largest of the three in terms of membership, which has completely replaced the Anglican Use Pastoral Provision. The Personal Ordinariate of Our Lady of the Southern Cross serves Oceania, primarily with communities in Australia, but with missionary communities as far north as Japan. Absent from the new ordinariate structure is the term “Anglican.” It exists nowhere on an official level. It cannot be found in the liturgy, nor on the names of any liturgical texts. While some members, within the ordinariates, still cling to the terms “Anglican Use” (especially in the United States) or manufacture such terms as “Anglican Catholic” or “Anglican ordinariate,” these have no official standing in the Catholic Church whatsoever. The “Anglican Use” liturgy was officially retired (suppressed) with the creation of the new Divine Worship Missal. The latter terms, “Anglican Catholic” and “Anglican ordinariate” have also gained some popularity among other Catholics, not connected to the ordinariates. However, once again, they are used unofficially in a popular sense, with no real connection to the ordinariates, the people therein, or the liturgy they celebrate. On an official level, there is no such thing as an “Anglican Catholic” or an “Anglican ordinariate.” These things simply do not exist. The English word “Anglican,” historically speaking, is a Protestant invention. If you wish to contest that, take it up with Webster’s and the Oxford dictionaries. I didn’t invent the word, nor do I have any personal problems with it. On a personal level, I can see the word bleeding over into a cultural state of mind that is neither Catholic nor Protestant, but that’s just me. Others have different feelings about it. In the end, it really doesn’t matter what we feel about it. What matters is how the word is defined according to the dictionaries, because that is how this generation and future generations will judge it. It is unmistakable that the overwhelming vast majority of Catholics view the word “Anglican” as married to English Protestantism. Throw out the term “Anglican Catholic” and watch their reaction. What will inevitably result is a long explanation, followed by an unsure response. Only a small portion of liturgically-savvy Catholics will know what you’re talking about, and the rest will just assume it’s a Protestant thing. In the United States there is even a small Protestant denomination called the “Anglican Catholic Church” which adds to the confusion, and another Protestant denomination calling itself the “Holy Catholic Church — Anglican Rite” which only makes things worse. So the average Catholic ear is trained to hear “Protestant” whenever the word “Anglican” is uttered. You can say “Anglican Catholic” all you want, but all the average Catholic ear will hear is “Protestant Catholic,” which makes no sense at all. Throw out the term “Anglican ordinariate” and the average Catholic ear just hears “Protestant ordinariate.” It’s a losing battle right from the start. The ordinariates have existed since 2011 and there has been no change in Catholic vocabulary since then. If you use the word “Anglican” in reference to the ordinariates, you will inevitably scare most Catholics away. There can be no doubt that the current liturgy, used by the ordinariates, originally did come from the Anglican Patrimony, and this Patrimony is cited as such by Anglicanorum Coetibus, and accompanying documents. However, it’s not just the Anglican Patrimony. As I cited above, the English word “Anglican” is a Protestant invention in reference to the state of English Christianity after the English Reformation (Revolution). However, the original liturgy Anglicans drew upon was the Sarum Use, and that predates Protestantism by hundreds of years. This form of liturgy has also been used, in a truncated sense, by Methodists. So the ordinariates and Divine Worship are just as much a part of the Methodist Patrimony as they are the Anglican Patrimony. In fact, Catholics who were formally Methodists have equal access to the ordinariates, just as former Anglicans do. The same goes for Catholics who were formerly members of the African Methodist Episcopal Church. So what are the ordinariates and Divine Worship really? Are they Anglican? Methodist? African Methodist Episcopal? Cranmerian? or Sarum? The answer is “all of the above.” Yet what do all of these things have in common? That’s where it all started, way back in Medieval times, and that is the common connection to them all. It’s not “Anglican Catholicism” but rather “English Catholicism.” It’s not the “Anglican ordinariates” but rather the “English ordinariates.” It’s not “Anglican Catholic” but rather “English Catholics!” Yes, I know this presents a small amount of confusion with Catholics who actually live in England today, but that really is a small matter which is easily correctable by putting the word “Traditional” or “Restored” in front of it. Say the phrase “Traditional English Catholic” or “Restored English Catholic” in England and almost everyone will know you’re talking about the ordinariates for former Anglicans. As a side note to that, the word “Anglo-Catholic” could work as well, because the Latin prefixes “Angli-” and “Anglo-” have always meant “English” and nothing more. They have no religious connotation in and of themselves. So when you say “Anglo-Catholic,” what you’re really saying is “English Catholic” but using the Latin prefix instead. This term has historically been used by Protestant Anglicans who sought to distance themselves from their Protestant background, but it was never tied to any particular Anglican denomination. It’s always been more of a movement within Anglicanism, rather than a form of Anglicanism itself. Many of the people in this movement have already crossed over into the ordinariates within the Catholic Church, and many more are likely on the way. Thus, a Catholic could use this term loosely, in reference to himself and the ordinariates, because what he’s really saying is “English Catholic” in a Latin kind of way. Great read! Thank you very much for taking the time to post. I am a member of the Anglican Church of Canada but my parish conducts the 1962 version of the Book of Common Prayer which from what I have gathered is more based on the Roman missal in the awkward period between the reforms over Vatican II. Most of the faithful who attend consider themselves to be “Anglican Catholic” meaning part of the Catholic revival movement within the Anglican Communion but that is where the “catholic” kind of ends in any sort of a cohesive manner– from there it’s a range of individual shades of catholic devotion. Some might say they would like to be in communion with Rome, other are like Old Catholics and consider only some more recent decrees of Rome to be problematic, and other are more reform or protestant minded and have negative feelings about Rome in general. I am fond of the term “English Catholic” because it captures the spirit of the movement. Fundamentally, it is about the cultural expression of the faith within the one, holy, catholic, and apostolic church. 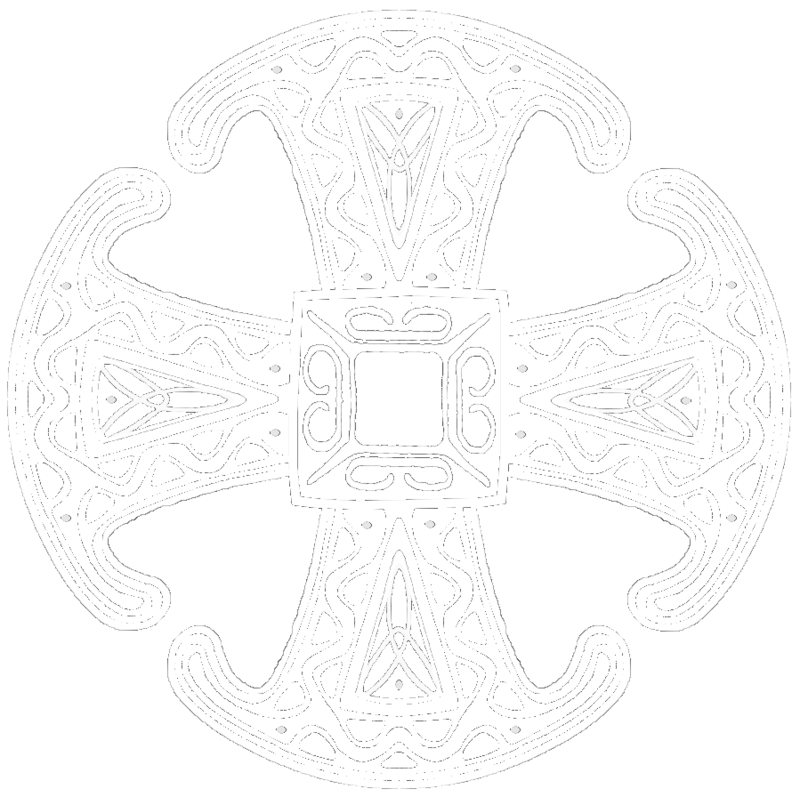 Whereas the Romans seem rather fond of codifying certain local cultural practices into universal norms, there is a movement within Anglo-Catholicism that would see the core universal principles of the faith as being universal and true (therefore catholic) and honour cultural differences within the various nation and sub-national churches around the world. Considering ll that has taken place in the English Church, Protestant and Roman Catholic, over the past five centuries, I think I would accord the faithful the privilege of designating their own official name. They have surely earned it. And THAT sir, is the greatest argument I have ever heard in favor of letting members of the Ordinariate call themselves whatever they want. Bravo! I don’t know from which country the writer of this piece comes, but I do know that it is a bit much to generalise across the world from the UK to Australia and the US. My impression (and that’s all it is) is that the word Anglican is not so problematic to Catholics in Australia. The many Catholics I have come across often refer to the Ordinariate as the Anglican Ordinariate. Not being a member of the Ordinariate I don’t have much personal knowledge of how they describe themselves, but as a Latin rite Catholic I am pretty well informed what ordinary Catholics think and say about this. And they are very supportive even when the local bishop is totally unsupportive. Since word usage changes over time, I suspect the word “Anglican” will become accepted usage when speaking of the Ordinariate especially since the constitution, Anglicanorum coetibus, uses the term in a positive way and doesn’t speak of groups of former Anglicans. It will be interesting to see how the word develops especially considering that the Ordinariates exist for former Anglicans and it is the mission of the Ordinariates to win former Anglicans, or Anglicans no longer practising the Christian Faith, back to the Faith and within the Communion of the Universal Church. Hello Pomyluy from Blessed John Henry Newman in Victoria BC! I’m a craddle Catholic that latched onto the Ordinariate. Divine Worship is truly a gift from Pope Benedict that I believe helps us fight evil. However, I find telling people that I’m part of the “Personal Ordinariate of the Chair of St. Peter” makes their eyes glaze over. Perhaps I’ll try Anglican-Catholic (Anglo-Catholic?) on for a size and see what Fr. Carl thinks.